Wolfenstein II: The New Colossus is a true rarity in 2017 – a strictly single-player shooter. Of course, Wolfenstein: The New Order also lacked multiplayer, but the video game industry has drifted even further from single-player experiences since 2014. Today the shooter scene is increasingly dominated by games like Overwatch, Fortnite, and PlayerUnknown’s Battlegrounds, which eschew single-player experiences and hide what backstory they may have away in codices and supplemental materials. So, why does developer MachineGames continue to fight against industry trends with their Wolfenstein titles? 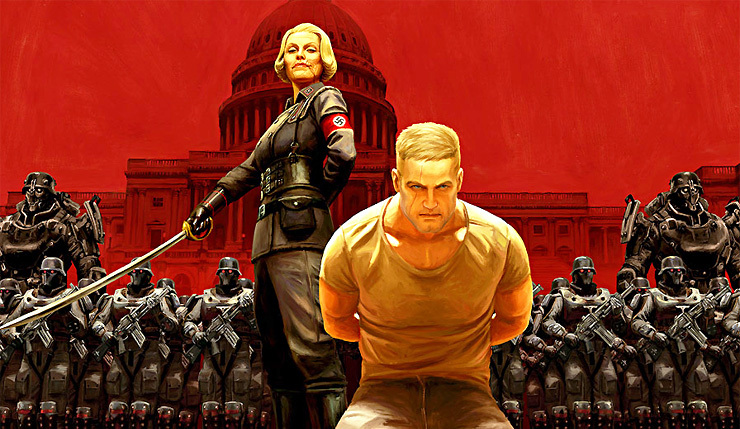 Well, according to Wolfenstein narrative designer Tommy Tordsson Björk, axing multiplayer has been essential to the recent success of the series. If somebody told you 10 years ago that Wolfenstein would one of the triple-A gaming scene’s last bastions of ambitious, single-player storytelling, would you have believed them? It will certainly be interesting to see how well Wolfenstein II does given recent events, like EA closing Visceral Games and retooling their single-player Star Wars title and Gran Turismo Sport and other games pivoting to focus online multiplayer. Based on current excitement levels, it seems like Wolfenstein II may do significantly better than its processor and, hopefully, change a few minds in the industry. Wolfenstein II: The New Colossus storms onto PC, Xbox One, and PS4 on October 27. A Nintendo Switch version of the game is scheduled for early 2018.